I have 18 years of teaching experience in Japan working as an ESL. I also have a education degree from Western Washington University. Mr. John is reading to the class. 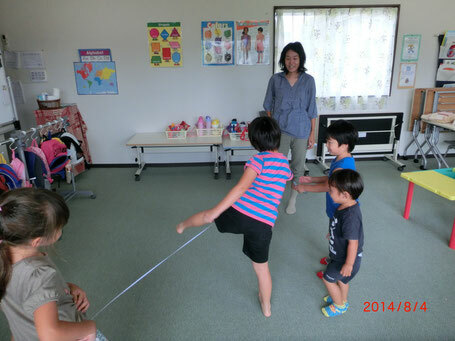 Certified preschool and elementary school teacher with over 8 years of teaching experience in the Japanese public school system. Here she is playing a game with some of the children. I'm from San Lorenzo, California. I graduated from the University of California, Davis with a degree in Psychology and a minor in Education. I love all kinds of food but some of my favorites are dark chocolate and almonds. My favorite color is green. My hobbies include making paper crafts, eating and hiking through nature. 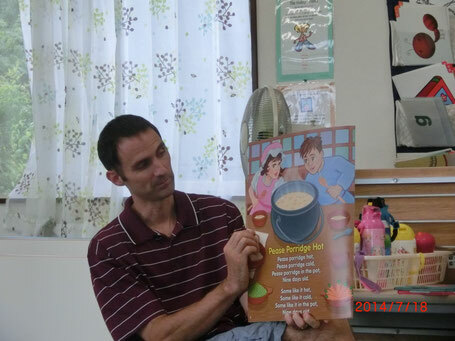 Certified preschool teacher with over 10 years of teaching experience working at a Japanese preschool. 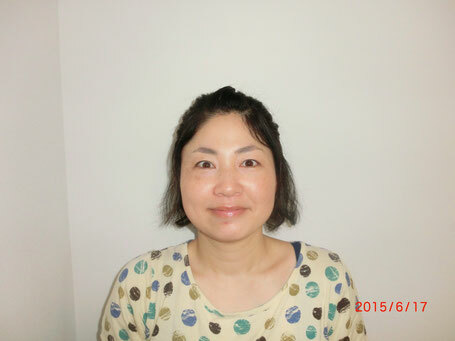 Masayo has over 10 years of teaching experience in the public school system in Japan. She loves playing with the children and helping them to grow to be wonderful young adults. She studied childhood education at university.